Many of the offers I had received were the same as shopping portals offers. You need to click a link on the website to redeem the offer. Besides, you can find the better rates of cash back in other portal sites. A kind of offers I wanted was like Amex Offers. Amex Offers don’t provide a link. All you need to do is to add the offers to your card and use that card. You can click a link on any portal site you like or buy 3rd party gift cards in store. If you don’t know about PayPal Prepaid MasterCard, please click here to see details. A week ago, I noticed this kind of offers had appeared in my account. They were for Sears and Kmart. There are so many reasons to come back to Sears, including stocking up on the latest essentials for Summer including outdoor furniture, grills, major home appliances, and Summer fashions. Plus when you are a Shop Your Way(R)* member you always get more! It?s FREE and easy to join in-store or at shopyourway.com. Earn 10% Cash Back on your Sears purchase, with a $20.00 Cash Back maximum! Payment must be made on or before offer expiration date. Offer valid one time only. If layaway** purchase, offer only valid on initial payment. Offer expires 7/5/2015. *Members earn points on qualifying purchases, excluding sales taxes and other fees. Subject to full program terms available at shopyourway.com. **Requires down and biweekly payments. All fees nonrefundable. Cancellation fees apply. No cancellation fee in Ohio. Not available at all Sears stores. Exclusions apply. See store for further details. Get more this Memorial Day at Kmart. We’ve got an amazing selection of patio furniture, grills and decor. Dress up with our summer apparel collections for the whole family. Don’t forget to check out our great array of footwear, too! And, Shop Your Way® members always get more. Join today, it’s free in-store or at shopyourway.com. Visit Kmart online to find a location near you. Earn 15% Cash Back on your Kmart purchase, with a $20.00 Cash Back maximum!Offer not valid online.Payment must be made on or before offer expiration date. Offer valid one time only. Offer expires 7/5/2015. Both offers expires on July 5th. So, they must have been available in my account for a while. It’s just that I didn’t log in and check for a long time. For Sears’ offer, it’s valid for both in-store and online purchase. 10% cash back, $20 max. So, they offer cash back for up to $200 purchase. The first thing I came up with is to buy $200 Visa gift card. Although $200VGC charge $6.95 as a purchase fee, I thought it was the easiest way to earn and deal with the item (liquidating $200VGC by using Amex Serve.) I went to the store and checked all GC racks. Then I couldn’t find $200VGCs or any other useful gift cards. So, I ended up with buying $200 MasterCard gift card. Next, I went to Kmart. For Kmart offer, the terms clearly describe that it’s not valid for online purchase. 15% cash back, $20 max. So, you need to spend $134 or more to earn maximum cash back of $20. Kmart has a better selection of gift cards than Sears. On that day, I saw eBay gift cards at Kmart for the first time. I bought some eBay and gas gift cards. A few days later, cash back appeared in my account. They will be credited on the end of the following month. Because of a miscalculation, I spent only $125 at Kmart, and I couldn’t earn maximum cash back of $20. I have another PayPal Prepaid MasterCard. This account is six-month-old. There is Kmart offer as well. (but, there is no Sears.) I went Kmart yesterday and bought the same GCs (gas and eBay) and the same amount. This time, however, I asked a cashier to give me $10 cash back. The total is $135. $20/$135=0.1481, it’s almost 15% cash back deal. I did it yesterday. So, a earned reward hasn’t shown up in my account. But I think it will be no problem because I don’t see anything about what I did in the transaction history of PayPal Prepaid. I learned that asking cash back at a cashier is useful when you want to adjust the total spending and maximize the rewards. I haven’t logged in my account for a few months. I might have missed good offers during that time. From now on, I will check the offers more often. If you want to know the basics about the card, please click here. You may already have a card, but you can open up to 3 accounts of PayPal Prepaid MasterCard. 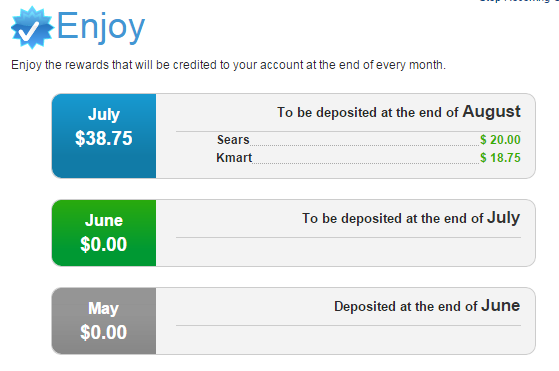 If you want to open 2nd and/or 3rd account, please sign up through my referral link to get $5 bonus. ← New SYW VIP Choice Benefit is available now! 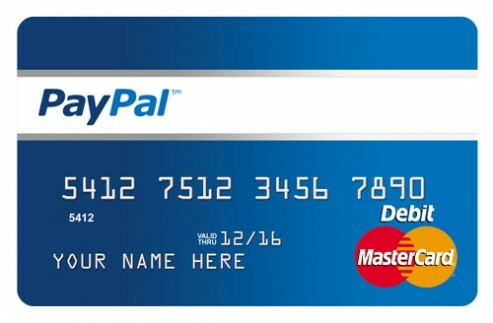 Can multiple PayPal prepaid card be associated with the same PayPal account? How do you differentiate between them when logging in? You will need a different PayPal account. You can only link one PayPal Prepaid card with one PayPal account.